For some of us, spring has already sprung, for others it'll be a while before the serious dirt play begins but all of us have something we can be doing to get ready. What are you working on right now in the garden? Triple secret bonus points will be awarded to replies that include pictures. Mrs. HandsomeRyan helped me manually turn and rake out a roughly 5'x10' plot where I hope to test some grain crops this year. I'm a little behind schedule on planting but I think it'll be okay. Waiting on the rain today to settle everything in then it'll be planted as soon as the seed I ordered arrives. Yesterday, I laid the compost down on my 4x4 garden boxes (4). So excited ! I've got a few cooler weather crops in the ground, so I'm waiting for them to sprout. My first tomato seedling poked a tiny leaf above dirt yesterday- so I'm looking forward to the rest! I planted an experimental row of onions in a bed that I cleared out recently. However, this bed only gets direct sun from about 3:00 on, so I'm not sure how well it'll do. In my raised beds, I have added compost, added Azomite, turned them, and today I am going to mix in some coffee grounds care of Starbucks. I have some seeds in the ground but I'm still a few weeks away from adding transplants. Well, being the newbie I am (first year) I went ahead and planted another row of beets. Decided to go with the Cylindra type. Along with placing some Nasturtim's thru out (Nigh and Day). Their edible flowers are great in salads. That 4x4 box is ther to show scale. I still have to move that wood pile and put in the last post. Also, we are still getting frosts and freezes now and then, its been a really cold spring this year, far colder than last year, and last year sucked too. 5 years ago we were in the 70's this year we are in the 30's nice. I'm harvesting my first Rattlesnake beans of the season, waiting on my Daikon to flower and set seed for the next generation, and trying vainly to keep my Chard in check. I'm also waiting on my Cherokee Purple and Pineapple beefy tomatoes to ripen, and fighting some dreadful mold of some kind that seems to want to eat all of my cucurbits and tomatoes - boo-urns. 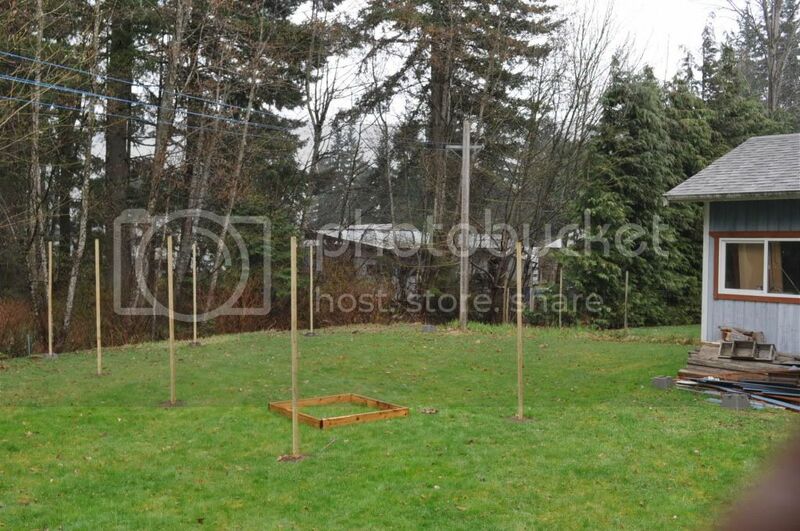 Tomorrow if the weather permits, I'll raise the roof on my hothouse to accomodate my taller bananas. I will take "lately" as in "last weekend". I planted a myriad of flower seedlings and seeds as well as a bunch of lettuce all over the place. 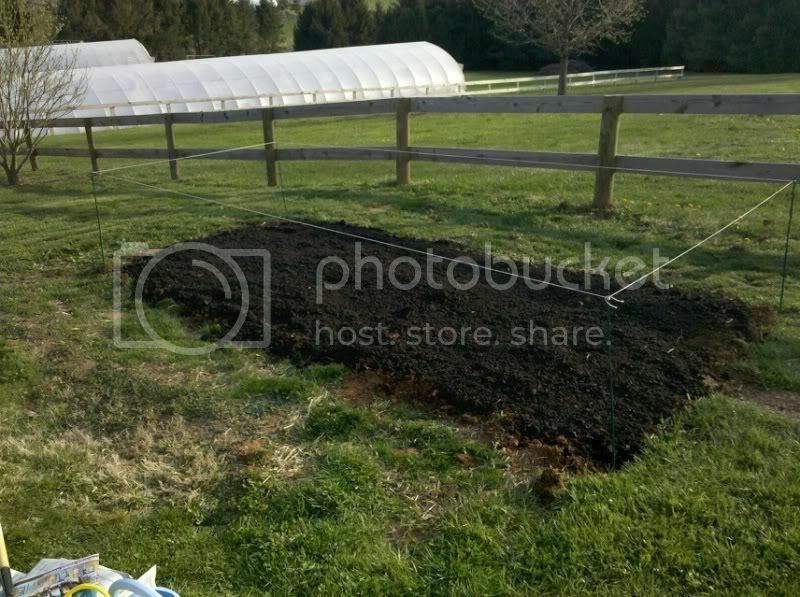 You could also add in the beginning to harden off my tom's spread out grass clippings for mulch, pick even more rocks, kill grubs, make my garden even more pit bull proof, power raked some of my yard, seeded grass seed again, started more flowers starters and basil, upotted quite a bit, on and on it goes. Built 2 of 3 raised beds - 3'x8'x20" deep. These are set on 4"x8"x16" cement blocks to keep them from sitting in the ground and snow all winter. Hopefully, they will last longer. Plan to finish the 3rd one tomorrow. The most difficult part was levelling the blocks because of the slope of our property. I transplanted 30 tomatoes, 21 peppers, 9 eggplant, many herbs including parsley, cilantro, garlic chives, lemon balm, bee balm (monarda/bergamot), greek oregano, tons of basil, sage and 3 dozen marigolds. I use small cell plugflats and then move things up. It's been a busy week and weekend. I have planted dill, beets, spinach, carrots and onions. I also am trying to get an asparagus bed going, it's planted anyway. Today I built a double compost bin so I can get started with composting. Here after a while, I plan to rip up the beets and carrots and replant them. The dill isn't coming up either, I really have bad luck with dill for some reason. I'm going to dot in some swiss chard in the blank spaces of the spinach too. Our weather has not been any help this year! We had snow yesterday and it is in the 70's today. My garden is up and growing well. We have been eating a lot of things for a couple of weeks and are only a couple of weeks from eating cucumbers and squash. Some tomatoes should be ripe in three weeks. I usually have ripe tomatoes within a week from my first cucumber of the season if I plant them on the same day. I posted some pics here. Since my garden is growing and little is left to do except harvest and regular maintenance, I've turned my attention to trying some other interesting things in my garden. Today, I dug some holes into my compost pile and filled the holes with soil. I then ran drip irrigation emmiters to each hole and planted some bush cucumber seed. I think the cucumbers will do well if the compost pile doesn't get to hot. The moisture in the compost pile should at least help it compost making it ready for use in my beds this fall. I've been doing a little work on some straw bales I began treating last fall for planting. I have swiss chard, a few onions, spinach, and cherry tomatoes planted in the straw bales and they all seem to be doing well. I ran drip irrigation to my dwarf tomato containers so I want forget to water them in the mid summer heat. Everything is on a timer, so it should work pretty well. I'm really looking forward to tasting some of the tomato varieties from the new dwarf varieties. I've never eaten a white or green when ripe tomato, so it should be interesting. I just like to keep it interesting. I'll post some more photos as things progress. harvested radishes last night . been hardening off the tomatos for planting next week. planted basil, cilantro and rosemary last weekend. added Rosemary to my herb section, got some flowers to attract beneficial insects and put put the eggplants I have been hardening off. Well, I wanted to put out more onions, but I have to till my garden to do that and I got a lot of rain, so now I'm debating on whether or not that's such a good idea .